Here’s 43 more examples of characters from the 3 anime series I often use within my videos. If you have any requests for other characters or series not listed, I will be happy to list them as long I have knowledge of them. 1) I'm Ken Cannon and Welcome back everybody! To another one of my ever so cla ssy Japanese YouTube Lessons! 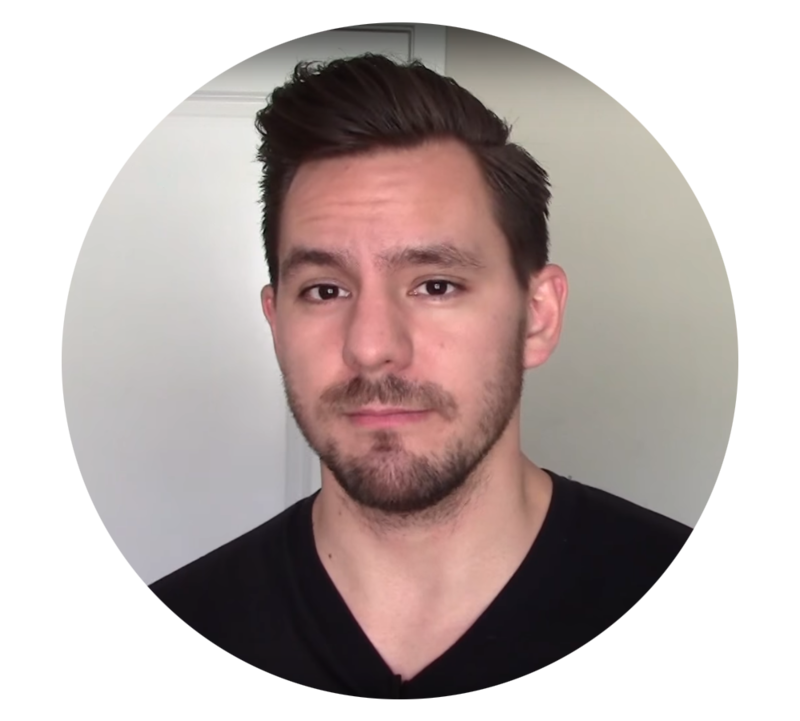 Now today I’m gonna cover something I touched upon in an earlier video, and also something very very important to learning Japanese. 2) So important in fact that according to my analysis carries the number one, most commonly used word in all anime! 2) Can you guess? Ok so maybe you don’t have to since you can all probably read, and YouTube has placed a lovely title above. 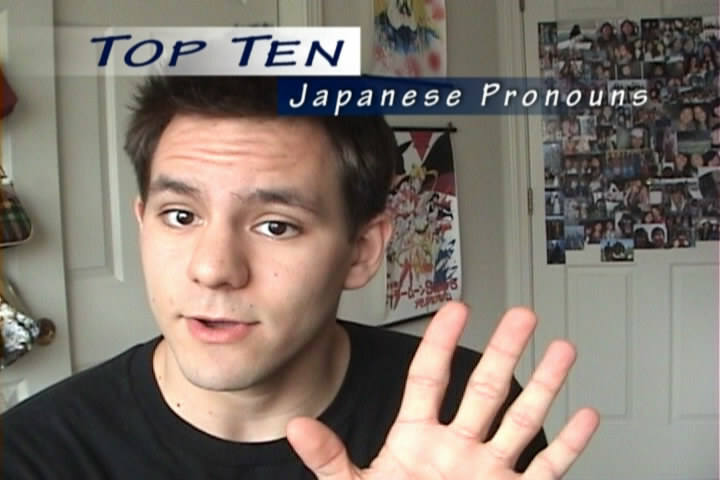 But none the less, today’s lesson is about the Top Ten Most Commonly Used Japanese Anime Pronouns! 3) Specifically, this is part one, the top 5 ways to say the word I. Since, unlike English, Japanese has literately dozens of different ways to say the words I and YOU. 4) Now this . supposed confusing aspect about Japanese is actually one of my favorite parts of the language. The reason for this is because each different word actually carries a unique intonation about the personality of the speaker. Don’t worry though, this will all make sense at the end of the video. 5) Another note before I begin is that Japanese pronouns are often omitted in casual speech, simply because it’s usually obvious who the speaker is talking about. Personally I think English is too Pronoun happy anyway. 6) Yet another note is that I’m going to be teaching the anime uses of these words. The difference is that anime is very commonly much “ruder” than real life. Obviously right? I mean, were fighting demons and death gods here, you gotta be a little rude. Just to be safe though, if you’re addressing any non-evil beings be a little more careful. 7) Ok enough with the chit chat, let’s get started! The number 1 Japanese pronoun and, the number 1 Anime word of all time is…Ore! This version of the word “I” is used mainly by males who wants to appear tough or rough in some way. 8) Now in actuality when I said this is the most commonly used word in all anime, I’m really just referring to shounen anime (or anime for boys) since this term is 99% of the time said by males. And on average the word ore is repeated about 10 times per episode, and is usually heard from the main character of the series. “kuso!” “Ore” will never give up! I’m going to destroy you! Hemorrhoids! 11) Ok! Moving on to the second most commonly heard pronoun in anime, Watashi. In anime “Watashi is mostly heard from older men or woman and or in formal situations. 12) Now if you’re currently learning Japanese this is one of the very first words you’ll come across. This is because it’s is a very safe version of the word “I” Unlike ore which could come across as very cocky or immature watashi is probably the term you’d use with someone you didn’t know very well. 13) In anime this is the standard for most girls, but for guys is heard mostly from older non-main character males. Bakana! Ano baka ga sono hemrroids wo taoshita koto to wa! Watashi wa shijirarenai. 14) And here’s noteable characters that use watashi. 15) Alright pronoun number 3! Atashi, Atashi comes from the word “watashi” and is used mainly by girls who want to appear cute in some way. 16) Now atashi is pretty much the norm for most side character love interests. 17) Now in real life girls who use this pronoun might be seen as a little immature, and guys who use this might be seen as a little homo-sexual. So girls make sure to use it mainly with you girlfriends, and guys..you can… use it with your uhh… boyfriends..
18) In any event, as with the rest of these words, be careful on how you use them. 19) Ok here’s some popular character that are know to use atashi. 20) The 4th most commonly used personal pronoun is Boku! This is sort of the boy version of the pronoun atashi, and is used mainly by younger or less mature boys. 23) or watashi (old bastards). 25) now males who use boku in anime are either very young, below high school age…or are generally seen as a bit childish, cowardly; sterile … you get the idea. Yoshi! Boku ga dekiru yo! Yatta! Zama miro yo! Kowai Kumo-chan! 26) I should also note that in anime you may sometimes hear a girl use this pronoun. These girls are either tom-boys… or generally confused about their gender. 27) Heres some characters that are known to use boku..
33) Now if anyone else were to use this phrase it would simply sound like there imitaeing an old man, nothing more. 34) Here’s some notable characters that have been know to use washi..